AgriBusinessGlobal.com connects the crop input value chain from raw material manufacturers down to distributors and trading partners around the world. Our content empowers smarter sourcing and business decisions by providing key insights to buyers and sellers of crop inputs including crop protection (both traditional agrichemical and biocontrol) and plant health products (including fertilizers, biostimulants, macro and micronutrients). We aim to inform and advise on strategic approaches to help our readers and delegates mitigate the impact of supply chain disruption and price volatility. 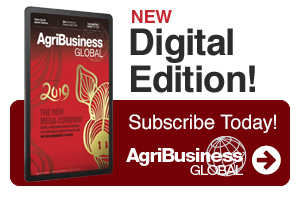 Our editors and contributors focus on facilitating data driven procurement decisions, market-driven business intel, and alleviate the guesswork on the value of current and upcoming agribusiness portfolio trends. Rainbow Chemical, a leading agrichemical exporter from China, has many product registrations globally, with well-developed market access in many countries…. Bayer shares have plummeted in Europe overnight while major herbicide companies have defended weed killer glyphosate following a successful U.S….